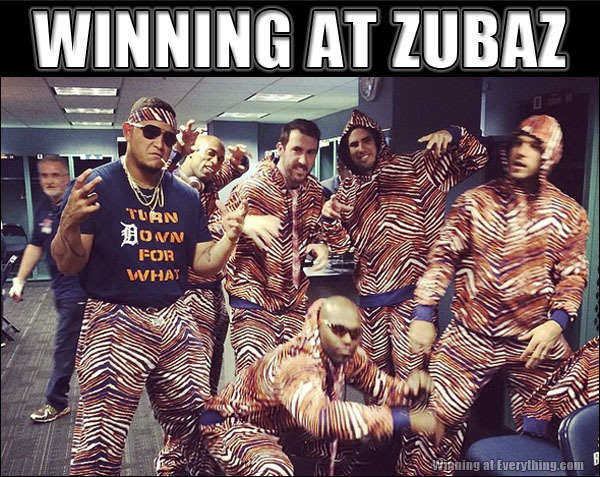 Too bad those are Tigers duds. They would be jealous of my Piston pants. Dude in the background: “Fuggit…I’m out, yo”.